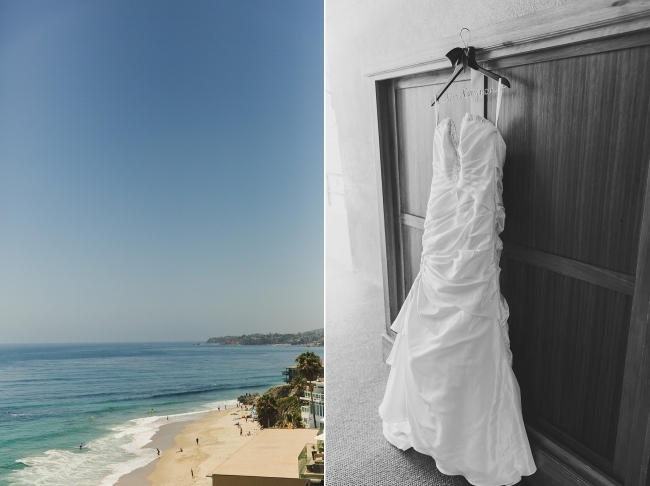 Danielle and Aaron’s Aliso Viejo wedding started out in Laguna Beach, CA overlooking the ocean. As I arrived to the Surf and Sand resort where Danielle was getting ready, I looked out to the water and I thought about all of Danielle’s family traveling from gorgeous Hawaii. Her family is from Hawaii and although she met Aaron in Southern California, they also lived in Hawaii together for a short time. So when it came to planning their wedding, it only made sense to have hints of Hawaii throughout their day. The bridesmaids didn’t have bouquets but instead each had a beautiful purple lei (brought in by Danielle’s family from Hawaii) and during the ceremony Aaron wore a green maile leaf lei. They also had place cards that looked just like an airplane ticket and each table was a different “destination”. 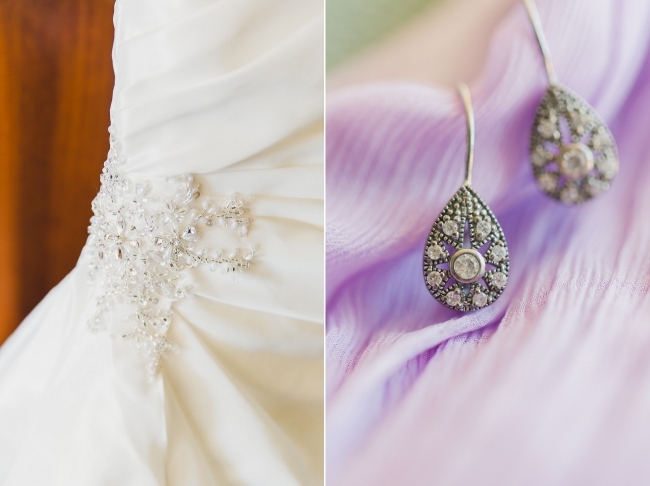 I loved how they incorporated Hawaii into various components of their wedding. Their wedding was absolutely beautiful, full of sun, smiles and lots of LOVE. I’m gonna have to say it now. Danielle- you are so beautiful! I LOVE Danielle’s face as she walks behind Aaron for the First Look. I loved being about to capture both of their faces (with the help of Kristen, of course) during that first moment when they saw each other. This next image is just beyond perfect. One of Danielle’s bridesmaids sang as she walked down the aisle with her father. Everyone was so happy for them. Huge thank you to Kristen and Alica for assisting me at this wedding! You ladies are THE BEST!